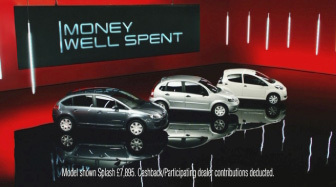 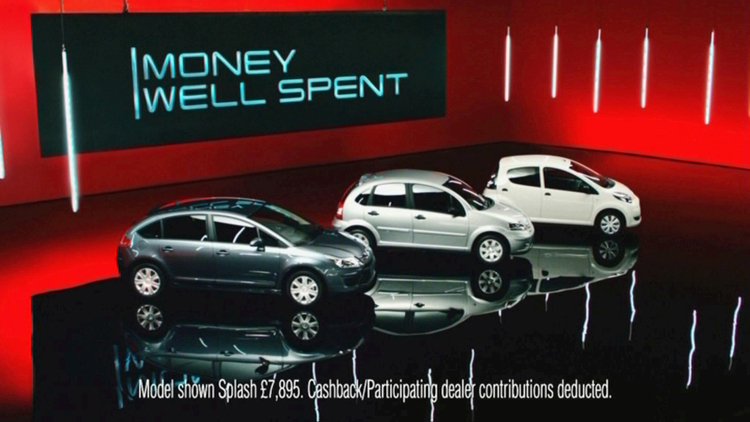 Working closely with Rogue Films, we created the video wall graphics for this TV campaign. 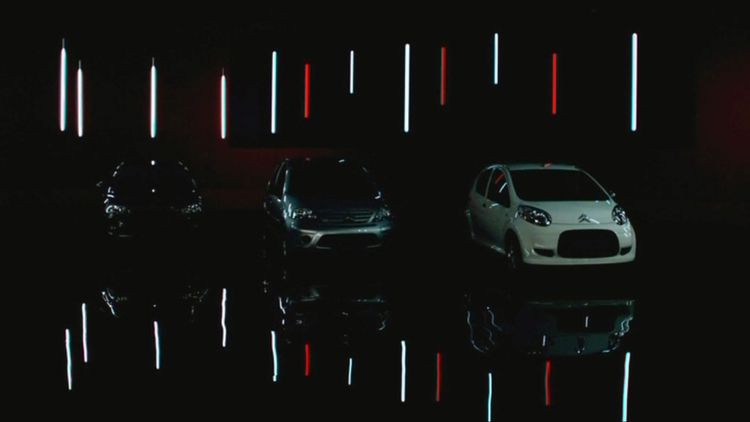 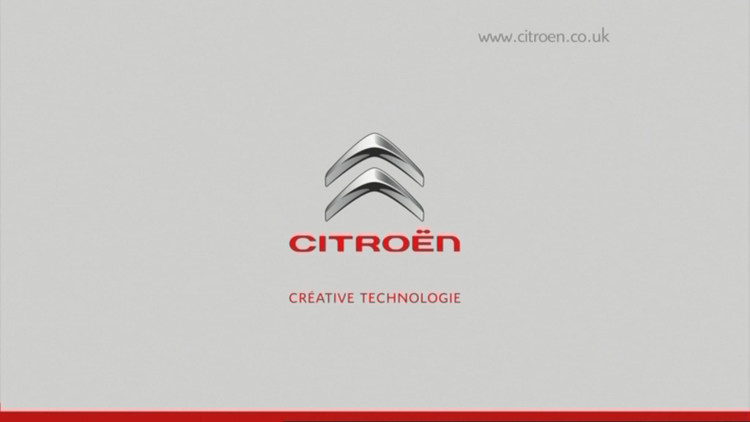 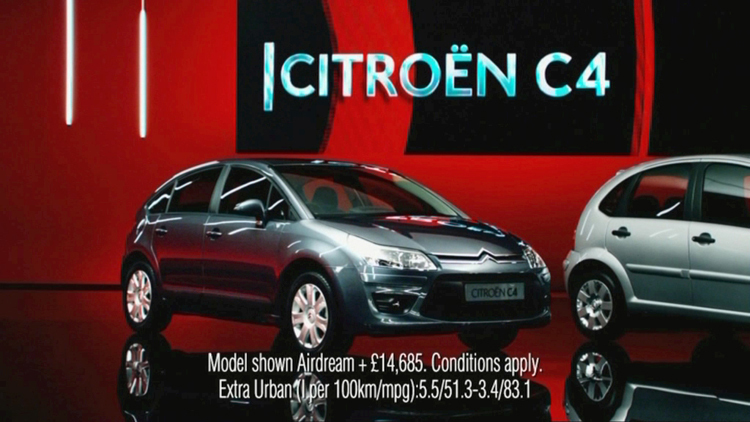 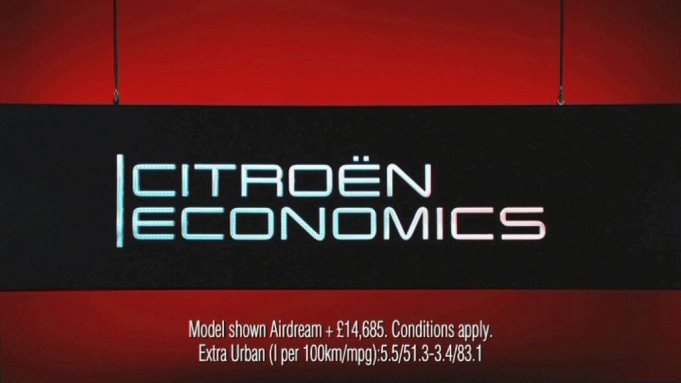 We used the visual language of Citroen and the design of the set. 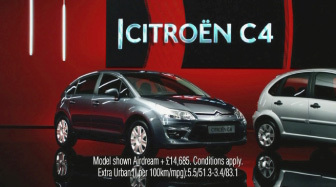 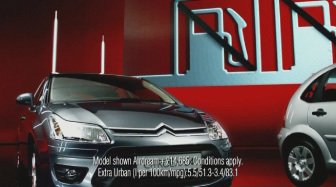 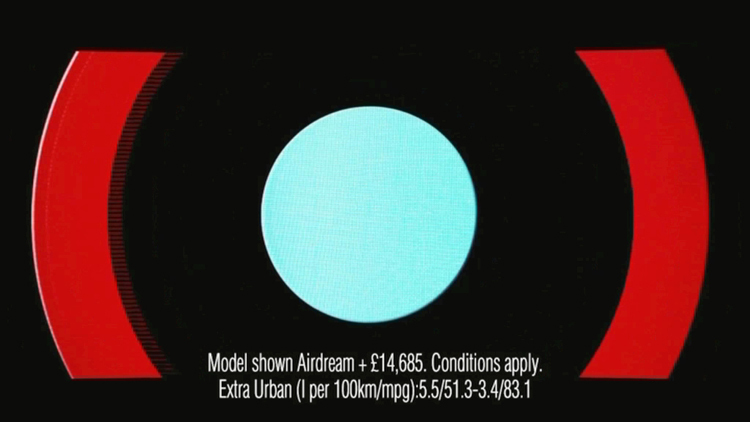 Powerful colours, dynamic shapes and bold typography firmly embed the graphics within the context of the commercials. 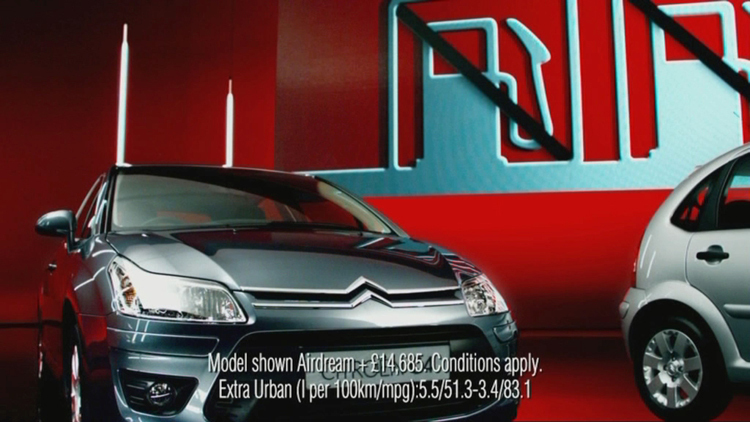 The direction of the animation drives the car foward. Dynamic wipes of bold graphics, chevrons and lines reflect in the surface of the car highlighting its curves. 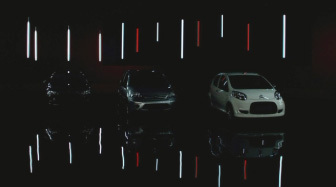 Simple lines on the video wall translate into aerodynamic contours, creating an interesting interaction between car and video wall.